The widow of martyr Dr Mohammad Ali Naqvi said in an interview that he found his husband as patient and thankful to Allah. She appreciated his work and she takes pride to be called his widow. Karachi, March 11 (ABNA) - She said that Dr Naqvi deserved martyrdom and she knew it is honorable death for him. She said government and judiciary is responsible for lack of justice in Dr Naqvi case. She said that not only her children but Imamia Students Organization’s member were also left orphans. She said his thoughts and targets are alive now. He wanted to see Millat as revolutionary, anti-Imperialism (U.S.) and a follower of Islamic Jurisprudent (Wilayat-e-Faqih). Syeda Kaniz Batool Naqvi had married Dr Naqvi in 1971 and she remained loyal and a companion and helper to him during 24 years married life. She and her family are bound to actively follow the martyr Dr. Naqvi’s mission. 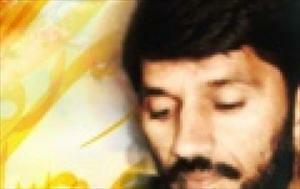 This interview was conducted on 17th martyrdom anniversary of martyr Dr Naqvi. To a question, she said, Dr Naqvi wanted the supremacy of Islam and Millat and called her partner in his work. She said that she was proud to be a widow of martyr. She said that martyr Dr Naqvi informed her on the marriage that his first marriage was with the ISO and she never mind that. She said Dr wanted children to be trained according to teachings of Muhammad (S.A.W.W.) and Aaal-e-Muhammad (A.S.) and he also attached importance to contemporary education. She said Dr Naqvi was not scared. She said Dr Naqvi said in his will that no post-mortem should be conducted. That means he was aware of martyrdom. She said that despite the fact that Dr Naqvi embraced martyrdom because of his organization but he deserved martyrdom. She said that government and judiciary should have done justice and should have punished the culprits who murdered Dr Naqvi. Our Millat should also have shouldered responsibility. She said that targets and ideals of martyrs remain alive. Martyrdom doesn’t mean that Dr Naqvi’s mission should be abandoned. No. To continue his sacred mission should be emulated by youths. The widow of Dr Naqvi said that evolutionary process of Millat continued successfully. Today, there are many organizations that are working. Millat’s awareness has been raised. She said that their daughter had asked Dr Naqvi about his personal desire and he replied that he wants meeting Allah (Liqa Allah). He had no other desire. However, nationally, he wanted to see his Millat a strong Millat. Situation is relatively better but target has not been attained so far. She said that despite paucity of time, he paid attention to children and we had no complaint about that. His all works were the most organized and he shouldered all sorts of responsibilities with full attention. She said that she and family are still active in the organization according to their limited capacity. She was grateful to Allah Almighty for this.